Kelley has been a long time client of mine – I worked with her to build her first website and then we recently did her second. 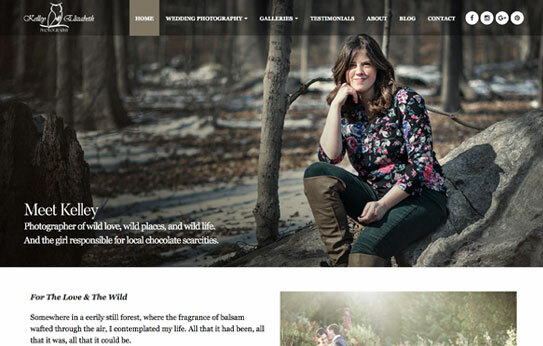 This current website focalizes around her wedding and landscape photography while her regularly updated blog helps her build her brand's voice and continues to highlight her recent work. 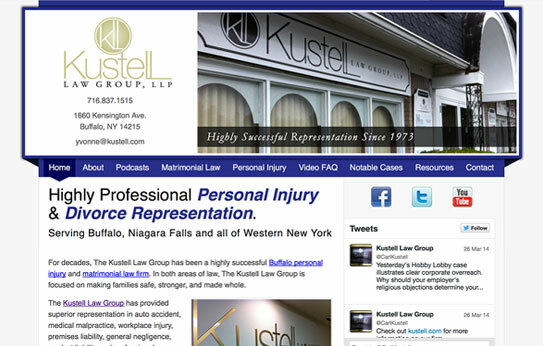 The Kustell Law Group was looking for a very clean and easy to navigate website that would highlight their multimedia plans. They have a “lawcast” podcast that deals with personal injury and matrimonial law and their regularly updated video FAQs help answer questions as well as inject more personality into their website. 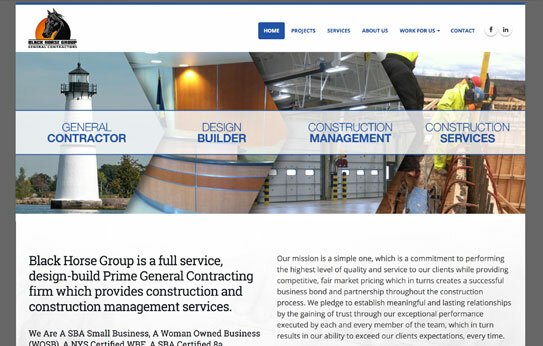 Black Horse Group was looking to expand their business to a wider target audience and needed a website to help get the word out and showcase their impressive, large scale construction projects. Their new site is much easier to navigate and helps to advertise their work while also making it easy for subcontractors to fill out required forms. 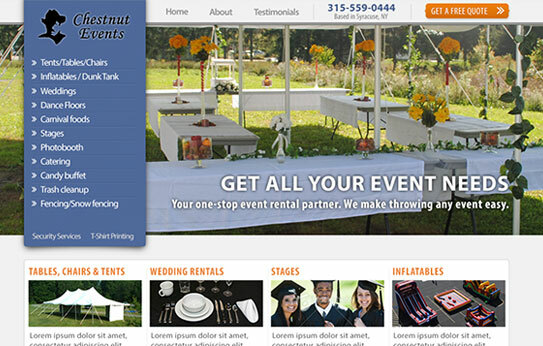 Chestnut Event Services is a well respected brand that needed an informative yet eye-catching site. They have a large inventory of services and it was important that the information was easy to find and well organized. Customers needed to be able to easily get plenty of details about each service and contact the company for a free quote. Using various menus and tabs, I created a site that provided information but didn’t overwhelm the user. Louis came to me looking to redesign his website. He is a man of many hats and talents and needed a biographical website to tell about himself and his work. 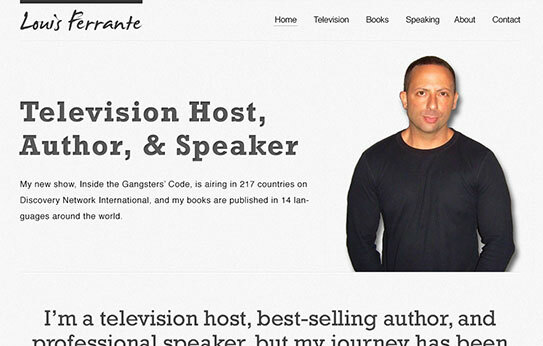 He was looking for a minimalistic website that would stand out and not be too crowded or busy. We worked together to come up with just what he wanted. 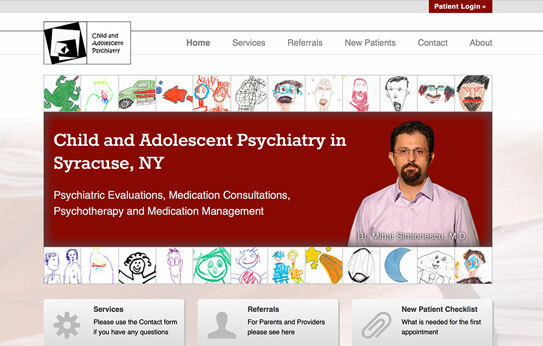 Child and Adolescent Psychiatry wanted a website that was user friendly and minimalistic with a hint of playfulness. To give the website a playful feel, hand drawn portraits and fun hover effects are combined with the clean content to give the website a mix of professionalism and fun. tk99.net was redesigned and launched in the middle of 2011, however consistent content updates and structural changes keep the site fresh and current. Since tk99.net is the flagship station of SU Sports, Syracuse University sports content is a main focus of the site. 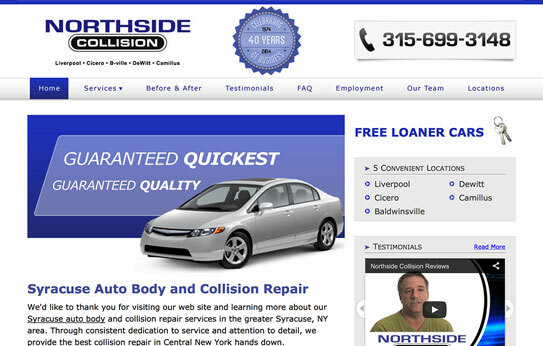 Northside Collision came to me to redesign their website after having some trouble with their previous web developers. I was able to quickly and efficiently get their website up and running with a much cleaner and more user friendly design. 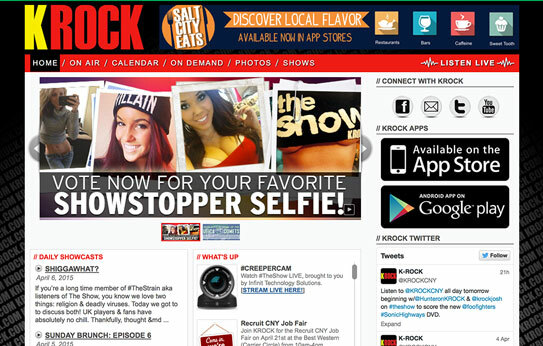 krock.com’s redesign needed a heavy emphasis on interactive elements and daily content updates. 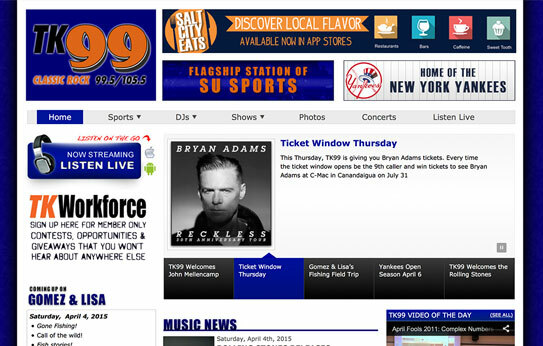 krock.com is actually 2 websites in one due to the need to have different content for both their Syracuse and Utica markets. Both websites are easily managed through one login. 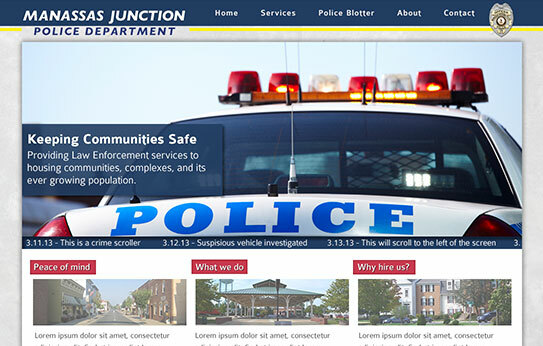 Manassas Housing Police Authority came to me to make a website that reflected power and safety. They have a regularly updated police blotter that scrolls on the homepage – usually scrolling text is a web design faux pas, but some rules can be broken if done correctly. 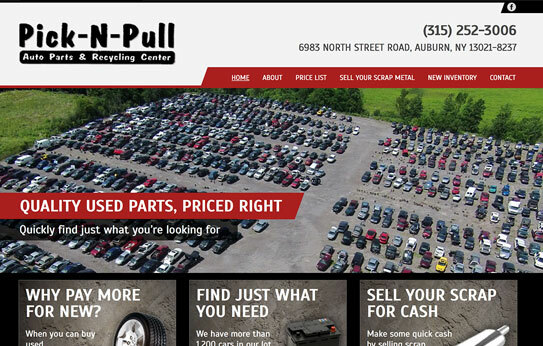 Pick-N-Pull Auto Parts and Recycling needed to create a new website that was more up-to-date, mobile friendly and better aligned with their target audience. They also needed an easy way to add their weekly inventory to their site on their own without my help. I’m pretty proud of how their site turned out and how it grabs your attention instantly.